Strong currents are powerful and fast-moving channels of water that are difficult to swim against. 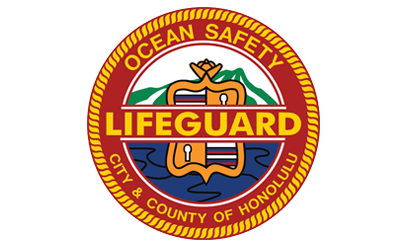 Because of Hawaii’s unique island environment, various currents, including tidal currents, wind currents, rip currents and other currents may create hazardous conditions at any beach in Hawaii. Strong currents frequently accompany high surf and rapid tide changes and can be recognized as a turbulent channel of water between areas where waves are breaking. 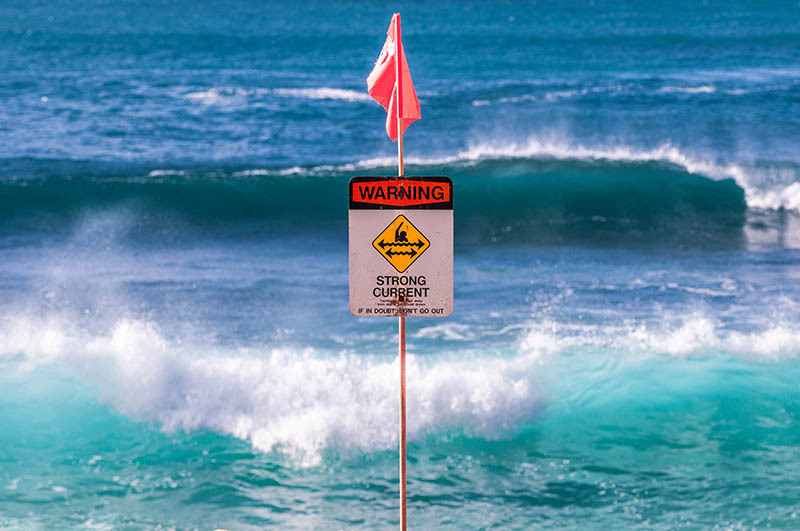 You may find a “Strong Current” warning sign, like the one above, to indicate the presence of one or more types of currents at a beach. Even if there is no sign posted, be aware that any type of strong current can still be present and may not be visually apparent. 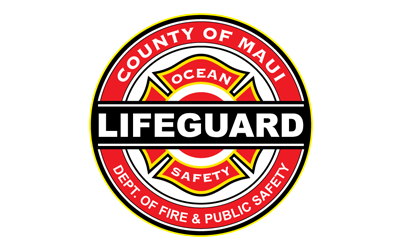 Talk to a lifeguard before you enter the water to check for the presence of strong currents. Stay calm and don’t panic. Currents will generally not pull you under the water. Conserve your energy. 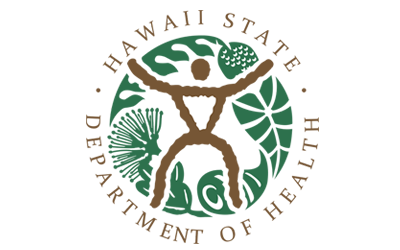 Regulate your breathing and minimize any erratic movement. Float on your back or front. Even if the current moves your further away from shore, go with the flow rather than fight/swim against the current and becoming exhausted. Watch the NOAA video below with useful safety tips and information about rip currents that also apply to other types of currents. 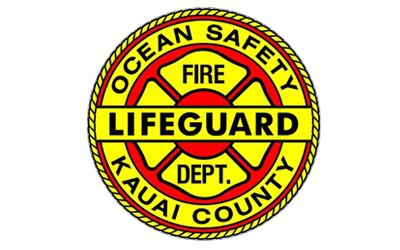 While rip currents are a familiar hazard at beaches on the U.S. mainland but are not as prominent as other types of currents here in Hawaii. 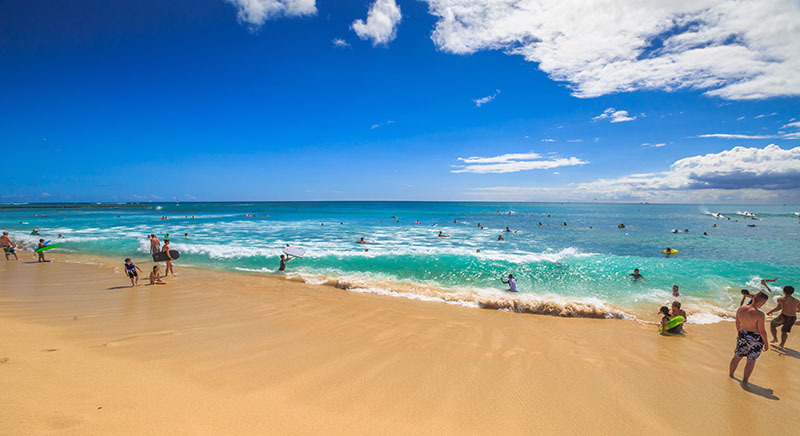 Looking for current beach and ocean conditions? 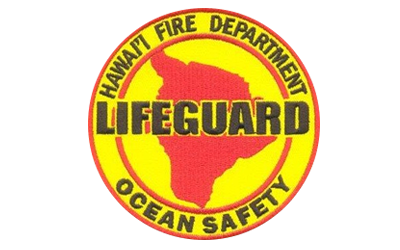 Get timely and accurate conditions at lifeguarded beaches in Hawaii from our partner website, HawaiiBeachSafety.com.